This is an affordable and easy to open handgun case. This handgun safe comes with a 5 key push button lock. You chose your code and can set it to something you will find you can remember. 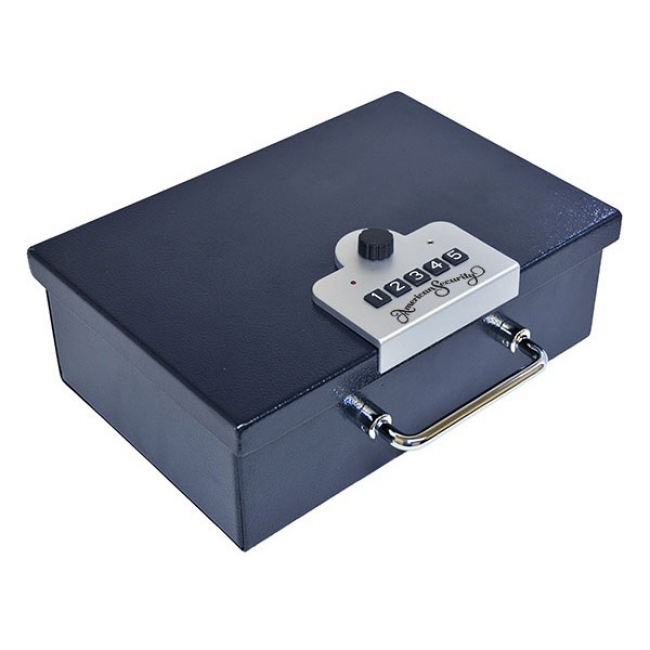 This pistol safe is built with heavy duty steel including the handle. The handgun safe requires one 9V battery which will last long since this lock pulls very little charge. If you battery should run low, there is a warning light. The battery can be changed from the exterior so you will never be locked out. Its attractive exterior is deep blue and the interior is cushioned with foam to protect your gun. Pre-punched holes allow for bolt down to most surfaces.